NES - Licensed Tengen games vs. Unlicensed Tengen games (Gauntlet, RBI Baseball and PacMan) and also Mindscape licensed Indiana Jones vs. Unlicensed Tengen version. @weekendroady - Great question. I haven't seen any examples of GH being worth more than the standard version but we have limited data so far. There are definitely some greatest hits that appear to sell less often so they might be more rare and could therefore be worth more. Once we get more data it will be interesting to see. I can think of a Greatest Hits version of a game that could be worth more. Dragonball Z: Budokai 3 on PS2 had a Greatest Hits rerelease with additional content, which included optional Japanese voice acting among other things. There was only one problem, the initial Greatest Hits print run was mistakenly just the original version of the game again which lacked those extra features. Atari had to reissue the game and send out corrected versions of the game to people who sent it in to them. The problem is that there is no way to realistically tell the two versions of this Greatest Hits rerelease apart without actually booting the game up. There is no telling exactly how rare this variation of the game actually is. The only Greatest Hits title that I can think of that may be worth more is Silent Hill 2, as the Greatest Hits version had different content, and I think was a shorter run than the original. On the other hand, I am really looking forward to charting of prices of Playstation Long Box titles. Many of these had extremely limited print runs, and to make matters more confusing, came out in different long box versions, plastic jewel case (similar to Sega CD and Sega Saturn cases), fully cardboard, and cardboard plastic hybrids (hinge was plastic, rest cardboard). There are over 100 titles that were in the long box packaging format, and I've only seen a complete collection offered for sale once, at THREE THOUSAND DOLLARS. Pretty crazy to think about considering many of those titles are $2-$3 in the regular jewel case. @Chandler - We plan to add Greatest Hits for PS2 games in the near future so it will be interesting to see if it does fetch more than the standard version. 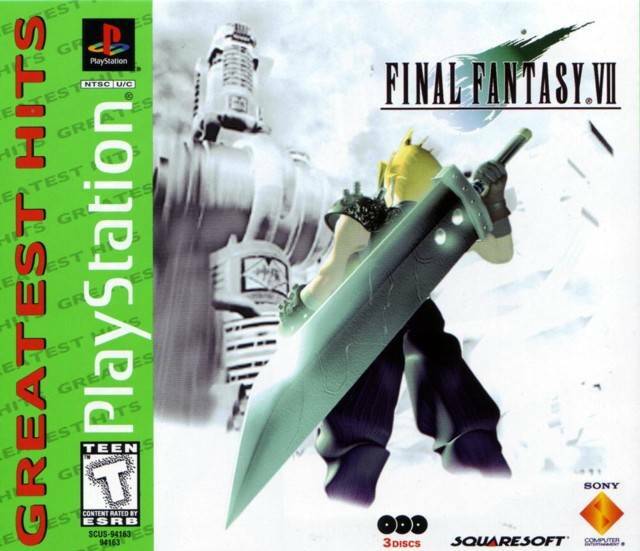 We've added all the PS1 Long Box games now. We have prices for about 50% of them. They are almost universally more valuable than the standard versions.